Astronomers have found a goblin in the far reaches of the outer Solar System. No, it’s not a mythical space-faring creature. The Goblin is the nickname given to a new dwarf planet in the outer Solar System. It’s an exciting discovery on its own, and the orbit of The Goblin also supports the possible existence of the long-sought-after – and much larger – Planet X.
Scott Sheppard at Carnegie Institution for Science, Chad Trujillo at Northern Arizona University and David Tholen at the University of Hawaii announced the finding on October 2, 2018, via an electronic circular from the International Astronomical Union’s Minor Planet Center. A paper has been submitted to the The Astronomical Journal. In other words, astronomers just found this object. It’s thought to be quite small, about 300 kilometres (200 miles) in diameter. Its orbit is very elongated, never bringing the object closer to the sun than 65 AU. 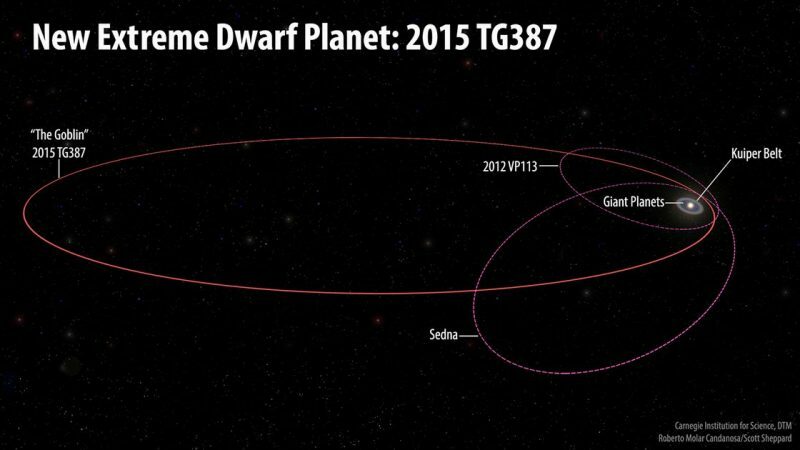 Besides 2015 TG387, the only other objects with more-distant perihelia – that is, more distant nearest-the-sun points – are 2012 VP113 and Sedna, at 80 and 76 AU respectively. However, the orbital semi-major axis of The Goblin is larger than that of both 2012 VP113 and Sedna, meaning it travels much farther from the Sun along its orbit than they do. 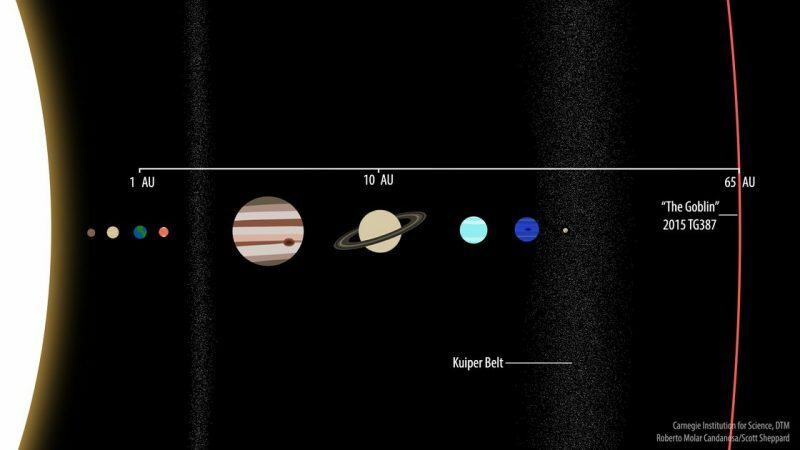 At its most distant point, it is an incredible 2,300 AU from the Sun. 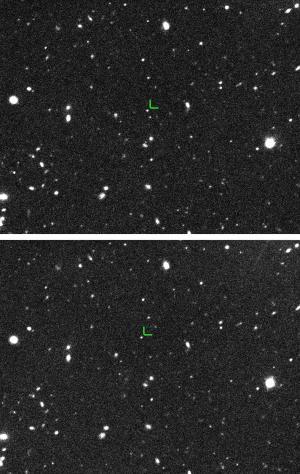 One major clue that The Goblin may be evidence for the larger Planet X is that the location in the sky where 2015 TG387 reaches perihelion is similar to that of 2012 VP113, Sedna, and most other known extremely distant trans-Neptunian objects; this could be explained by something “pushing” them into similar types of orbits. To test this further, Chad Trujillo and Nathan Kaib at the University of Oklahoma ran computer simulations to see how various hypothetical Planet X orbits would affect the orbit of 2015 TG387. 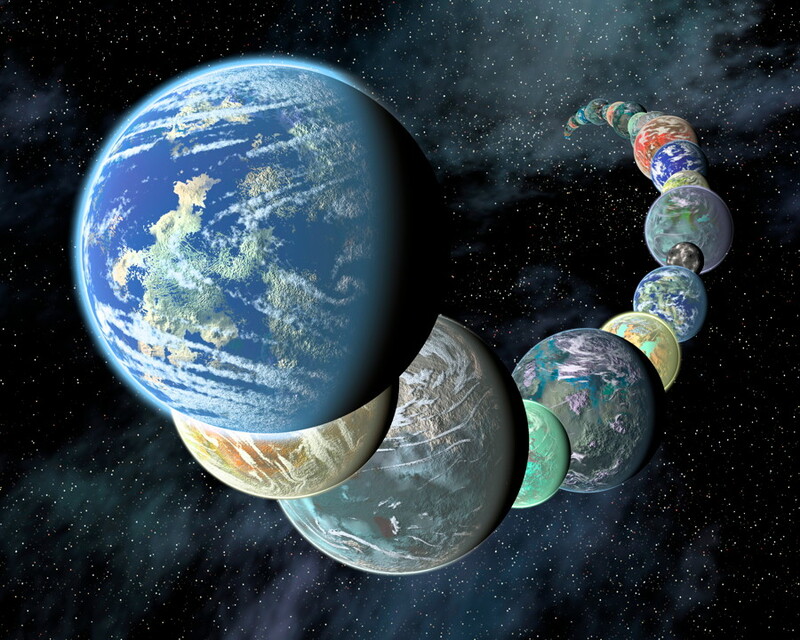 Since most previous estimates of Planet X’s size say it is significantly larger than Earth, the simulations included a super-Earth-mass planet at several hundred AU on an elongated orbit, as had been proposed by Caltech’s Konstantin Batygin and Michael Brown in 2016. If Planet X is confirmed to exist, it may indeed turn out to be – as suggested by some scientists – a super-Earth, a rocky planet larger than Earth but smaller than Uranus or Neptune. Many such worlds have already been found in other solar systems, so discovering a previously unknown one here as well would be … well, very exciting! 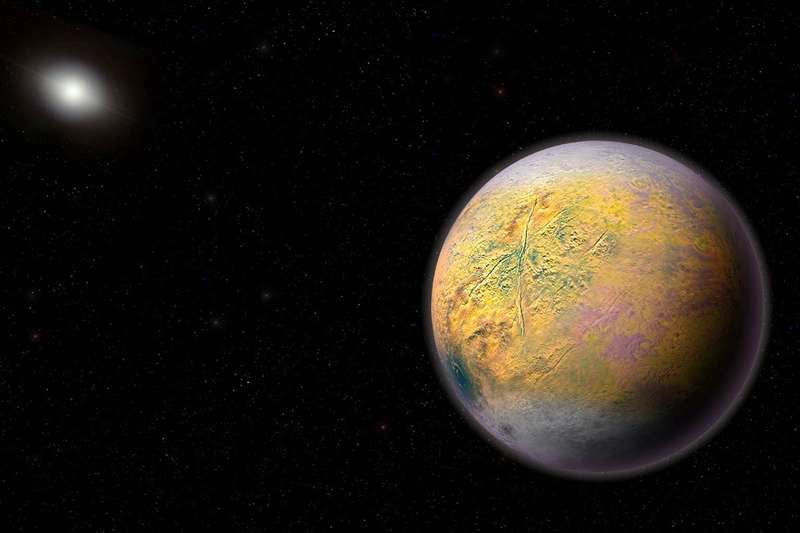 Bottom line: While the elusive Planet X hasn’t been found yet, the discovery of the dwarf planet nicknamed The Goblin is intriguing, and provides another clue that Planet X should be out there, waiting to be detected by earthly telescopes.